Have you driven a 1974 Mercedes-Benz 280? 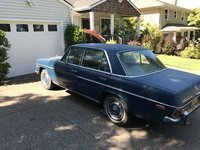 Displaying all 5 1974 Mercedes-Benz 280 reviews. Great Cruiser! — Well would have liked to finish this project but i had bigger fish to fry, so i sold it. A BEAutiful looking car but time was not on my side. The interior was awesome. Big, comfortable, and clean! You feel like king of the road in this! Pros: I loved the look of this beast! My Maffia Car — Ammmazing classicer! What a car! If you look at it, you think of a Black president with little flags on the front! The interieur was Cream leather with seats like you dont find now a days. Real springs on the backseat which realy bounc, bounc and bouce! It has alot of power under the hood: 2.8 V6 super petrol. For it's weigt it really has good acceleration and go's up to 200km/h! But the milage... About 15 to 20L per 100Km when driving at ease.. So double if you like to give gas. -> Me (+- €500 a month only for gas). Brakes: old brakes give a long brakeline, that was my problem. I trashed the car completly in a big crash! My new car is also great but does not have the head turns when you pass by. I miss the maffia charm of my exclusive BIG Mercedes! It's A Timeless Classic From One Of The Worlds Most Prestigious Car Producers — A timeless shape and classey appeal, the W107 is one of Mercedes most enduring and desirable models ever. This model is a Straight 6, 2.8 litre fuel injected twin cam manual, with around 200bhp. Top speed of 214km/h. A total of 107, 038 were produced between 1974-1989. Beautiful and fun to drive, with both hard and soft tops. Front Seats Ranked 1973 Mercedes-Benz 280 better. 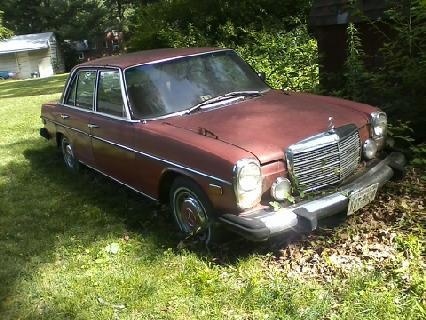 Value Ranked 1973 Mercedes-Benz 280 better. "1973 is cooler in style and look"